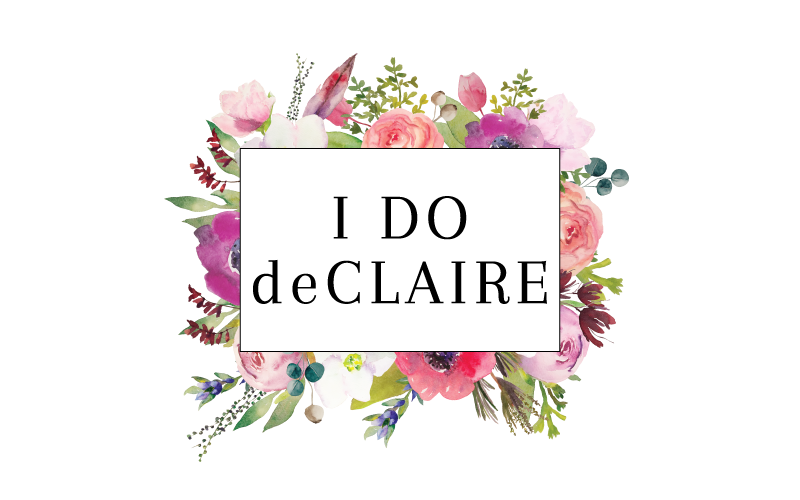 I do deClaire: Confident Twosday and a Happy St. Paddy's Day! Confident Twosday and a Happy St. Paddy's Day! 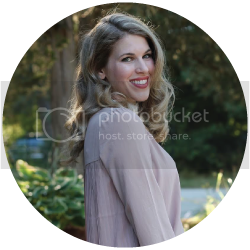 Today Leslie from Once Upon a Time and Happily Ever After is joining me as a co-host today. In honor of the holiday today, we thought it would be fun to feature some green in our outfits. Of course I am a bit partial to green and celebrating all things Irish so it is no surprise I like to participate in St. Paddy's Day. And yes, it is spelled with two Ds, not two Ts. Now don't expect 40 shades of green and plethora of shamrocks or anything! Looks that carry me from work to errands to anything in between are my saving grace. Thank goodness for a casual work place! One of my favorite sweaters, a long pinstripe button up, pretty necklace, and topped off with a fabulous hat and I am out the door (almost) ready for anything the day has to bring! Leslie always looks so put together and has such a classic style. I love the color and patterns she uses in outfits. 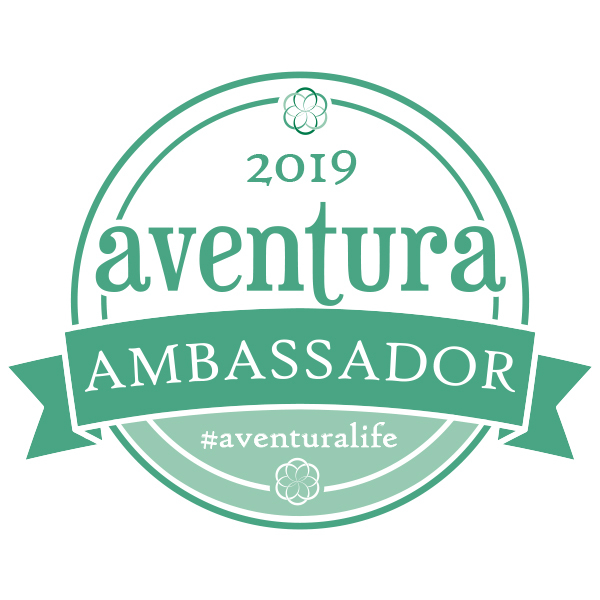 Make sure you go check her blog and green outfit, too! Love the outfit! That is the perfect green color green and it looks great with that button up, I never would have thought to pair it over the blue. 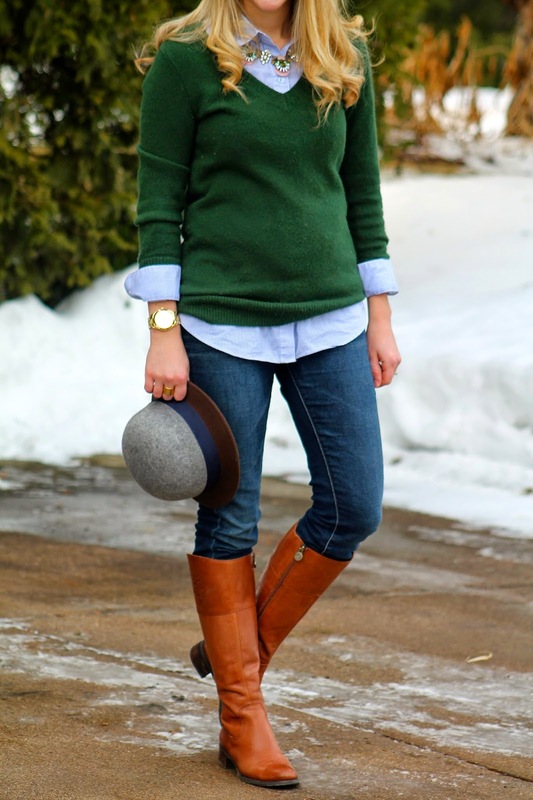 That green knit is a really nice nod to the Saint Patrick's day tradition! :) I wore a little bit of green, but just some green in a print. I expected to see more green outfits today actually, very few in the office! Cute outfit! Just the right amount of green and the hat is the perfect touch! I'm loving everything about this, especially that necklace and hat!!! I like everything about this look - especially the hat. You look great in that hat! Great outfit girl. Love that it's festive without being over the top! That hat is adorable and it's perfect with your outfit! This is such a great look for St. Patrick's Day. Your green sweater is such a beautiful shade, and I love your hat! You are simply adorable in that beautiful and chic gray hat which I love. This is such a nice, subtle outfit to wear for St. Patrick's. I like the deep forest green color of your sweater and what a pretty necklace. Green is a great color on your with your pretty blonde locks! I love it paired with the blue and your pretty necklace. 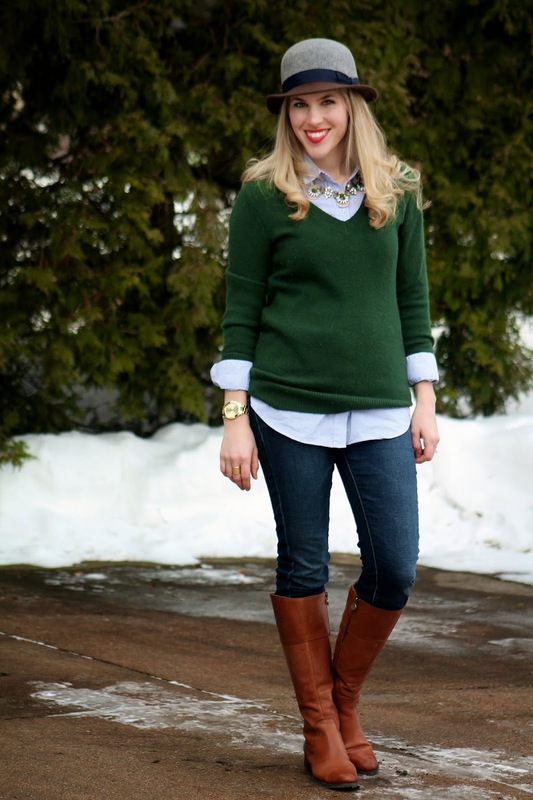 love this green sweater, it pairs so well with the blue shirt. That green sweater is such a pretty color on you and that necklace is really beautiful, too. I almost always layer a chambray shirt under my sweaters, I just really like the layered look and feel of it. Happy St. Patrick's Day! Green looks so good on you! Plus that hat? Darling! I absolutely love that green sweater! The colour is stunning. And it looks amazing with the light blue layered underneath and the camel boots. What a great outfit for today--and you always look so good in a hat. love the green blue combo! 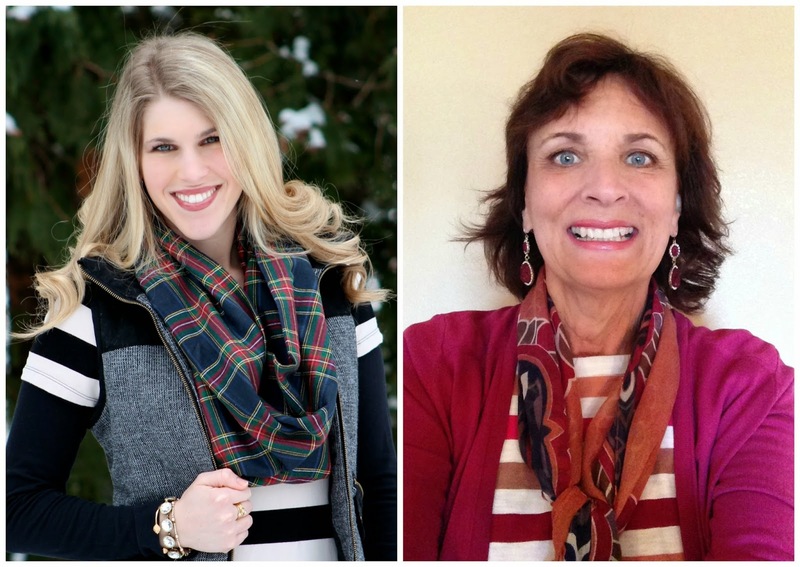 so chic and preppy! Great Link Up, thank you for hosting. 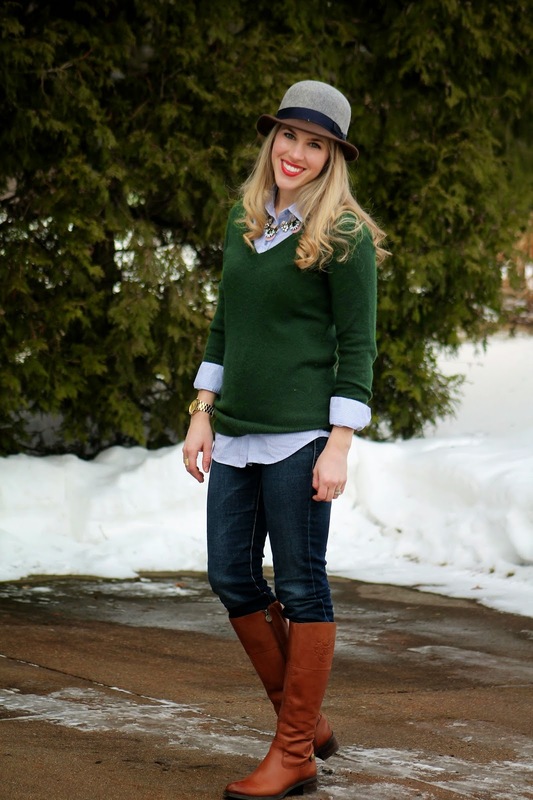 Loving your hat and your boots with your outfit - very chic! Come on over and link up with my new Fashion Link Up SHOE AND TELL on Style Nudge. no pinching you today!! lots of luck on this st pats! I adore this outfit, the hat is the perfect touch to it. I love your preppy layers and that hat! Admittedly, I forgot to don any green today. Love the green of your sweater - have a great SPD! Happy St. Patrick's Day, Laura! Thank you for providing me the opportunity to link-up with you for Confident Twosday. Glad you did a more casual look. I was so torn between doing a skirt and doing pants. Your whole outfit is perfection. The derby is the cherry on top. And love that your great sweater is ThredUp. Yay, YOU! Love the green, and your hat is fabulous Love the whole look! Happy St Pattys Day! You look so darling in that hat! Love the outfit-- not overly festive but enough of a subtle hint. Gorgeous! I love the deep green! These layers are so fun! The hat is adorable and I love your St Patrick's outfit. Such a classy look. 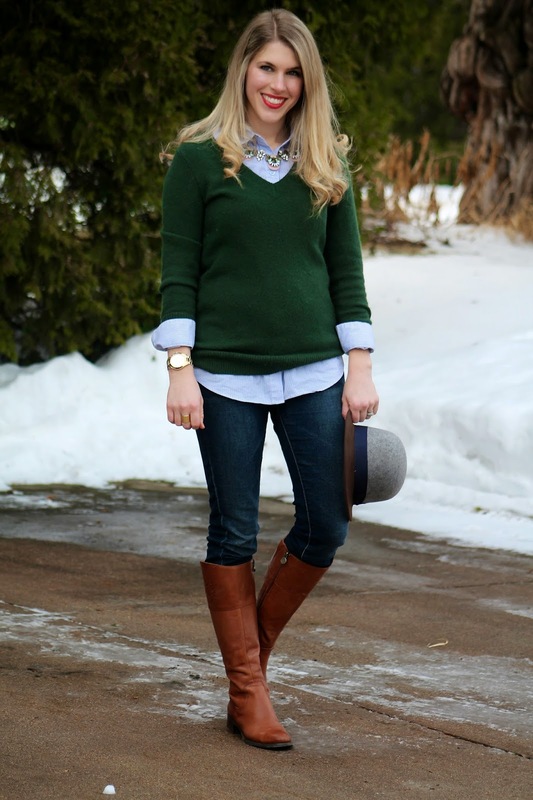 I love the layering of the button down with the sweater. So pretty. I love the hat! You look so well put together and chic! Love, love, LOVE the hat!! Style to perfection! This look is just darling on you! 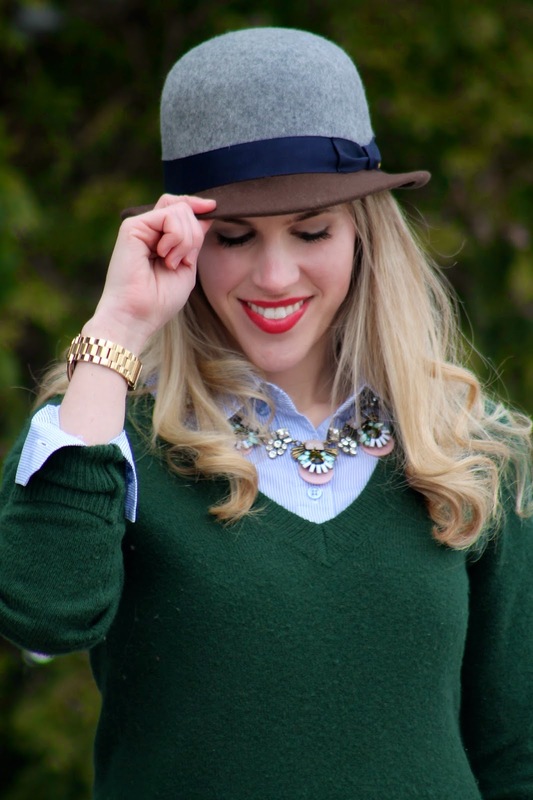 I'm obsessed with your statement necklace and your hat, too cute! !